When you're revamping your household, you have a multitude of decisions to make. A lot of them are matters of taste, like which color looks the most appealing with the furnishings in your office; some of them are practical, like which flooring should be hardy enough to brave wear and tear; and a portion of them are budget-related, like whether to spend the combined fee of sumptuous stone or purchase something more budget-conscious. At FloorCraft, we grasp the fact that a great number of these choices can be arduous to make, and occasionally you need a some help. Our receptive and skillful interior design consultants are available to guide you. They can share suggestions on which merchandise is the best for your space, which colors are the most suitable for your home, and which merchandise and services are the closest match for your lifestyle. By meeting with you in your home, they can acquire a feel for what your room and your family need. We don't predict that you will be a professional in the decor renovation business, that's a job best left to us! And we must complete the job to the best of our ability. That's why we offer our insight and knowledge to you via design consultation, so that you can make the hard decisions when it comes to your household renovation plan. Each of our welcoming design consultants has information both specific to our merchandise and services and general to the entirety of home improvement business. They can advise you which of our padding options are the perfect fit to use with which of our carpets, or whether stone tile is the right flooring for your lifestyle. There's no remodeling inquiry that we can't answer. To arrange an in-home design consultation with one of our cordial, kindly advisers, visit our contact page, or see our store at 1811 130th Ave NE Bellevue, WA, 98005. At FloorCraft, you are the one who makes the calls, the one in charge. We hold the belief that your renovations should start, advance smoothly and come to a close all based on your needs and instructions, from the beginning to end. Your project, your budget and your expectations are truly significant to us, and we labor to make sure that we meet and surpass every one according to the design that you express to us. Our expert installation team is licensed and dedicated to ensuring that you attain all of the things you're hoping for out of the installation procedure, creatively, and fiscally. From a majestic reinvigorating flooring or fixture, to an altogether voguish décor, if we accept the challenge you can rest assured that we'll accomplish it. FloorCraft has spent decades forging a respectable reputation within the Seattle area by supplying attractive service and never disappointing our clientele. The most unforgivable thing we could do is misuse your effort or your money. Your schedule and your monetary limits aren't merely tips to us, they're our top priorities. We can relate to the fact how essential it is for you to have your renovation completed on time, and at FloorCraft, going past your financial limit is unthinkable. The completed product that you have dreamed of at the end of the installation development is our ultimate prerogative. Regardless of what it requires to make sure that this result is reached, FloorCraft is glad to do. From tearing out worse-for-wear furniture, fixtures and flooring, to installing the new ones, and a myriad of things that fall in that category. We'll even deal with the left over materials for you. 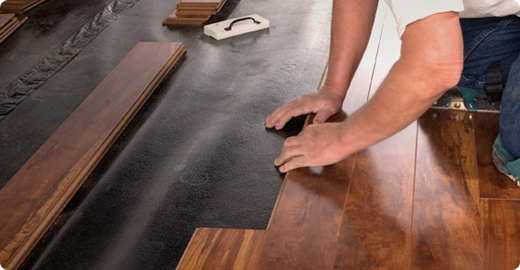 For the installation organization that does quick, noteworthy work on flooring, fixtures, furniture, painting and more, look no further than FloorCraft. To organize an installation renovation for your space, visit our contact page, or see our store at 1811 130th Ave NE Bellevue, WA, 98005.